The inevitable changes that come with remarkable growth in an innovative new program are part of our everyday lives and continue to keep our work fresh, exciting, and energizing. 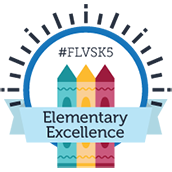 FUN FACT: The number of teachers in the FLVS Flex Elementary program has grown from a team of 12 in August 2015 to 47 in April 2017 … almost 400 percent growth! We know that the main idea of daylight savings time is to better use the daylight hours, or in other words, get more accomplished. Truthfully, I don’t believe there are teachers anywhere who know more about this than those of us “living the dream” of teaching at FLVS. 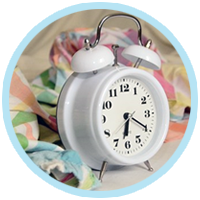 So, visualizing the alarm clock every morning can remind us to start each day springing forward – even on the toughest days. Keeping with this theme, what other helpful ideas or images come to mind as we think more about spring? I almost hate to add this to the list, because I feel overwhelmed just writing the words … spring cleaning! Why is it that so many of us use this time of year as motivation to accomplish those annual tasks like decluttering, cleaning that (almost) forgotten closet, or getting rid of clothes no longer worn? Can we use this time of year as the catalyst to spring clean our teaching? Are there emails that need deleting or filing, documents that can be purged, and—even in a virtual world—the REAL office (just beyond camera view, of course) that needs reorganizing and sprucing up more than just a bit? Speaking for myself…yes, yes, and YES! 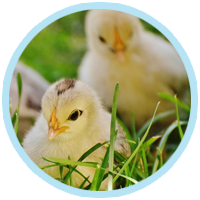 Probably the most beautiful images that come to mind in the first weeks of spring are of darling baby animals just hatched or born, experiencing their new world. They quickly learn so much, and change right before their caregiver’s eyes! As a teacher, I feel this way about my students this time of year. Our FLVS Flex Elementary students had time off for spring break and I already know when we’re together again in Class Time tomorrow, I will be amazed at how (in this one week apart) students will have grown and somehow crossed the bridge between being third graders to rising fourth graders. 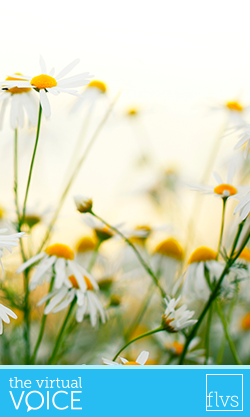 Together, we’ll keep springing forward as we finish out the year! 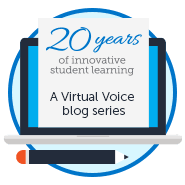 This entry was posted in Educator Edition, Homeschool Edition, Parent Edition and tagged Daylight Savings, Elementary, Flex Elementary, FLVS Flex Elementary, innovation, Online Elementary, Online Elementary Teacher, Spring, Spring Forward, Teaching, Teaching Online, Tips for Educators on March 27, 2017 by Guest Blogger.